Although pecans are typically known as a holiday nut, they are actually great treats available all year long! Find the best-tasting, roasted pecans at The Peanut Shop of Williamsburg. 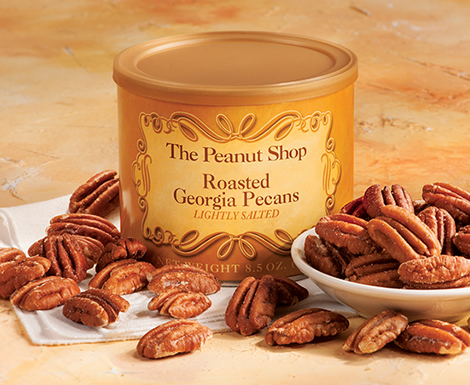 Our giant Georgia pecans are bound to delight your tastebuds without the after-snack guilt.